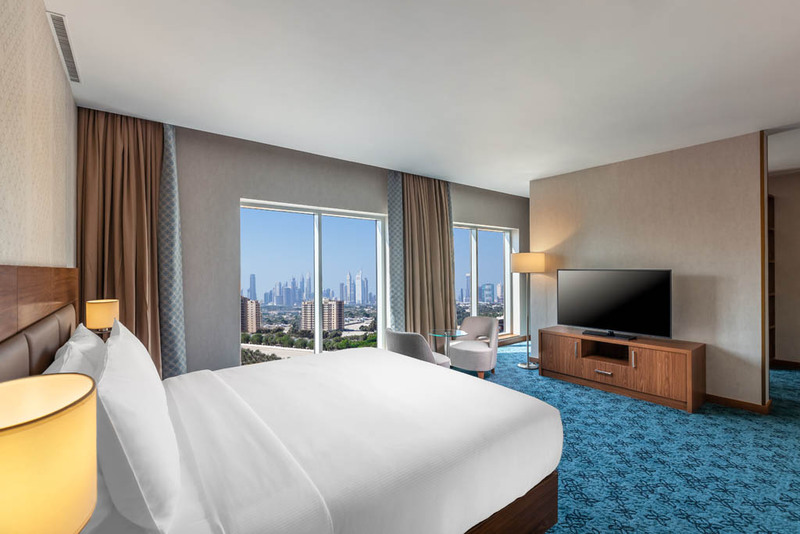 Our new Hilton Garden Inn Dubai Al Jadaf Culture Village hotel is perfectly situated between Dubai International Airport (DXB) and Downtown Dubai. The ideal location next to Al Jadaf Metro Station and Culture Village also puts you just 10 minutes from Dubai World Trade Center (DWTC) and Dubai International Financial Center (DIFC). Find everything you need for an enjoyable stay. Our onsite restaurant, Somaya, offers all day dining as well as room service each night. Stop by The Shop any time of day or night for snacks and drinks. Escape to our rooftop Wellness Center for a massage, get a work out in our fitness center or take a dip in our pool overlooking the Dubai skyline. Each of our modern guest rooms feature amenities to ensure a memorable stay. 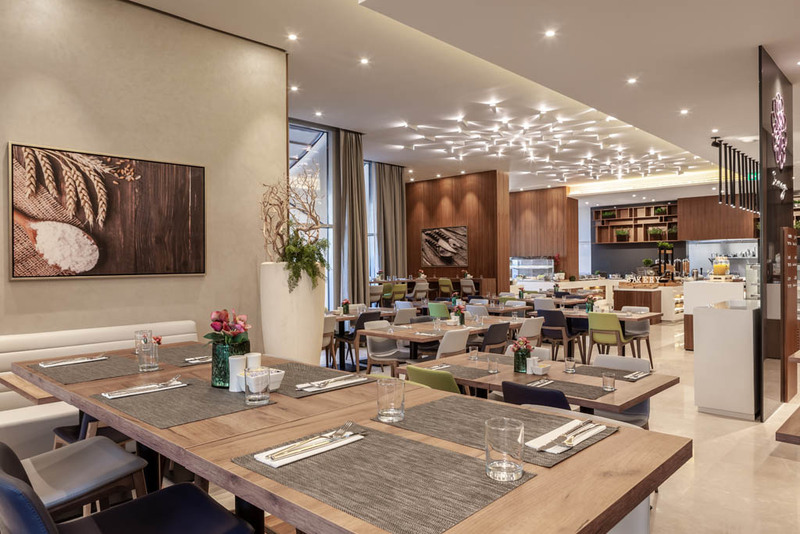 Enjoy complimentary WiFi, a 40-inch HDTV, mini-refrigerator, tea/coffee making facilities, and adjustable air conditioning as well as a work desk with ergonomic chair.